Before planning your ski vacation, check out snow predictions for Maryland to make the most out of your trip. The only area in Maryland to downhill ski is the Western part of the state. This area is close to both Pennsylvania and West Virginia. There is only one ski resort in the state Maryland. Wisp Resort is located in Garrett County, Maryland on Marsh Mountain. This resort has one of the largest snowmaking systems in the world. It covers 90 percent of the terrain, is 100 percent airless and can produce 36 inches in just four days. There are even computerized monitoring systems that keep track of the weather conditions. The snowmaking, along with the natural snowfall, make this resort a great skiing destination. Wisp Resort has a great informational website featuring both a daily and weekly snow report along with snowfall totals for the year. Check out their Lift and Grooming Report for the latest updates and lift and trail statuses. The National Weather Service is not only easy to navigate but gives you the information you want in a clear and concise manner. All you need to do is to type in the zip code of the area you want to find out information for and click search. You will be able to view a forecast and also a list of ski resort conditions. Open Snow has both snow predictions and weather reports on their site. There are even webcams of ski resorts to check out as well. Snow Forecast gives detailed information for the conditions at Wisp Resort. You can get an updated forecast, current conditions and even a live radar of the area. On The Snow provides a ski and snow report for Maryland. It gives the amount of new snow, the base depth, images and the current conditions. Snocountry gives ski reports for various resorts across the country and around the world. They offer a report for Wisp Resort, giving information on the current weather conditions, the surface of the mountain and what terrain is open. 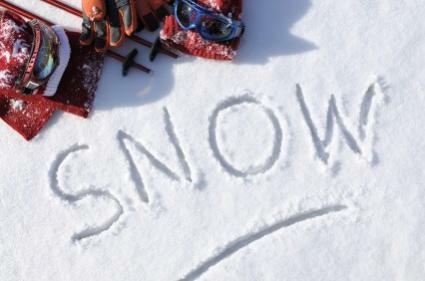 Any of these sites can provide you with snow predictions for Maryland along with updated information that will be helpful when planning a ski trip to that state. It is best to be familiar with the terms used in the report to know what conditions you will be facing. For example, under the surface report you may see terms such as loose granular, frozen granular or powder. Of course, fresh powdery snow makes for the best skiing whereas frozen granular makes conditions rough to ski on. By checking the reports, you will be able to tell what types of conditions are currently on the mountain. Some other prediction resources to use include The Farmers Almanac and local news channels. You may also wish to call the resort in advance and ask what type of weather is expected during the time you are planning on visiting. It is always a good idea to keep a close eye on weather conditions when planning a vacation. If deciding to go skiing in Maryland, check out a site giving a snow prediction for the time you will be visiting. You will want to plan your ski trip during a time that will have the best conditions. This most likely will be during the winter months from December through March although it can vary depending on how much snow the area receives that year.